with the sentiments of the season. The trim in the chair skirt is the same ribbon as I used on the package. 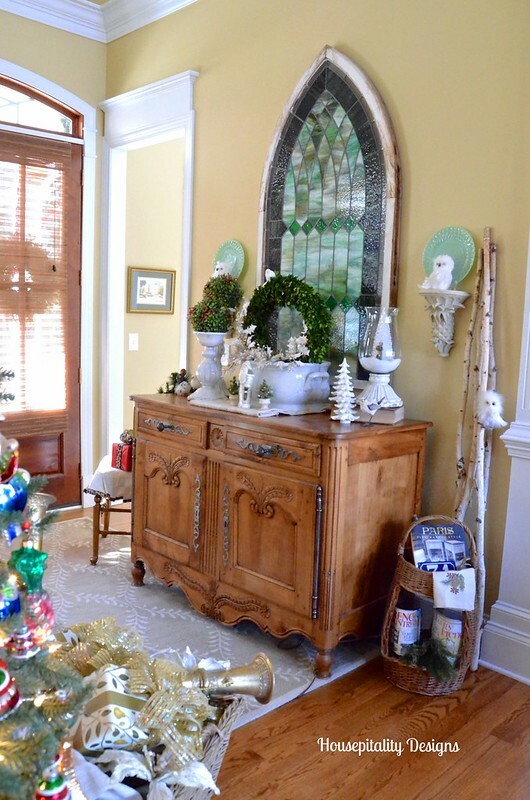 On one side of the foyer is my antique French buffet. As you can see the foyer pretty much spills into the Great Room. that I purchased in France. Truly my favorite piece of furniture in my home. I ran across this amazing antique ironstone foot bath. I can honestly tell you that I got a really great deal on it. I love this piece in front of the stained glass. 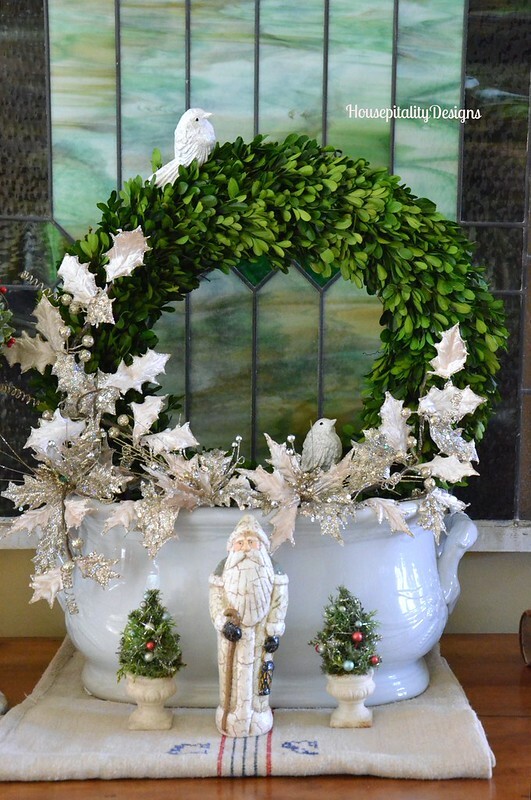 around the preserved boxwood wreath. 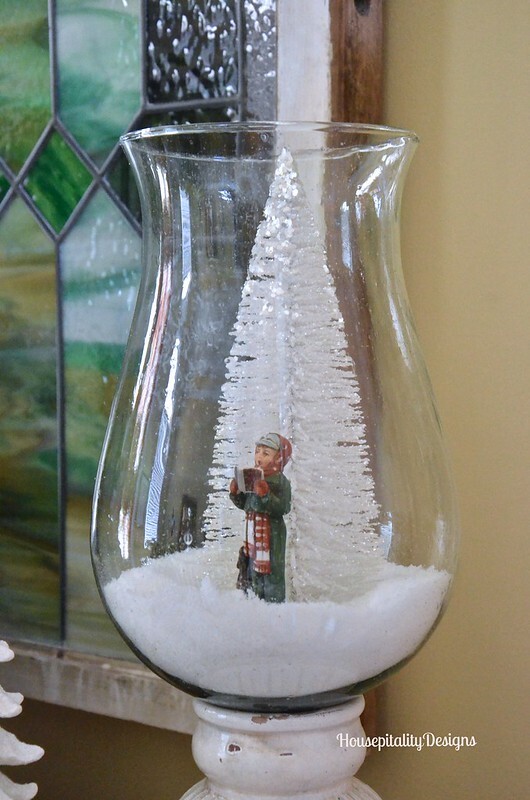 with a bottle brush tree and a Norman Rockwell caroler. I use the Department 56 snow as it is so fine and more realistic. and the winter bird, also by Raz. for the owl to rest. 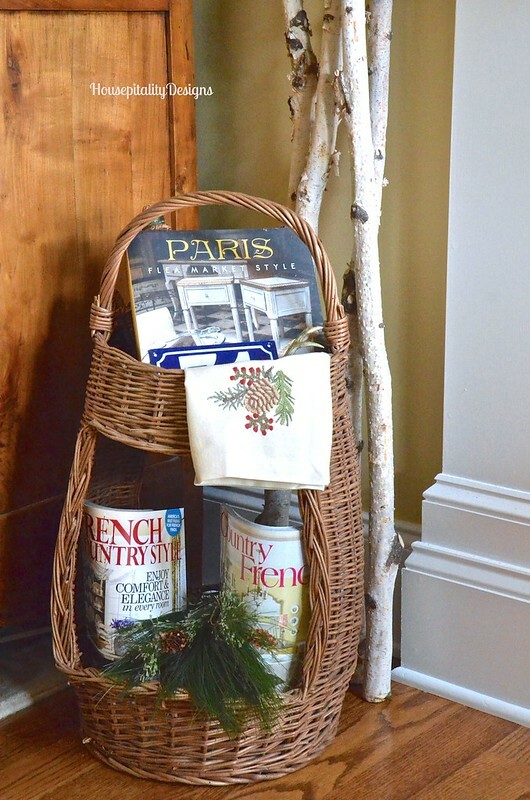 My French wine/picnic carrier sits beside the French antique buffet. and the plates are placed at the top section of the carrier. This too, I purchased while I was in France. 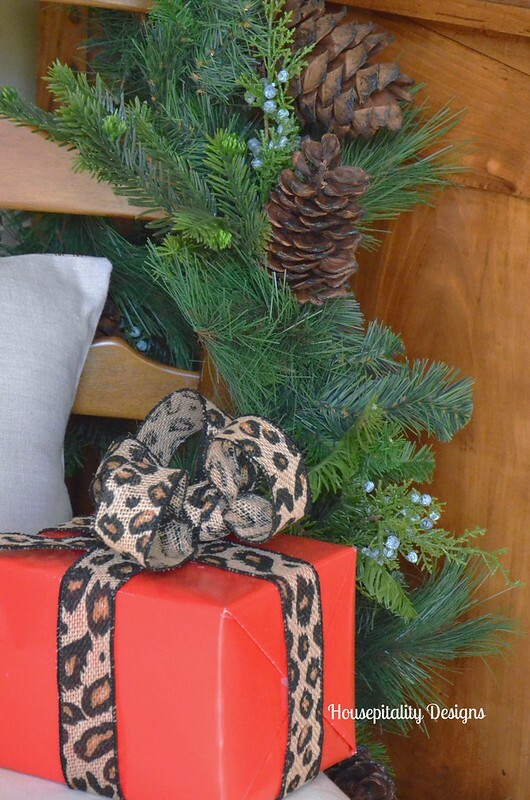 Faux evergreen stems decorate the bottom portion of the wine carrier. from the French buffet that hangs in the stairwell. You can see the reflection of the stained glass and buffet in the mirror. of this space in the foyer. As I knew this was the spot that I wanted it to be. Turns out that it definitely was perfect on this wall in the foyer. Vintage baskets fill the space on the ledge above the doors. 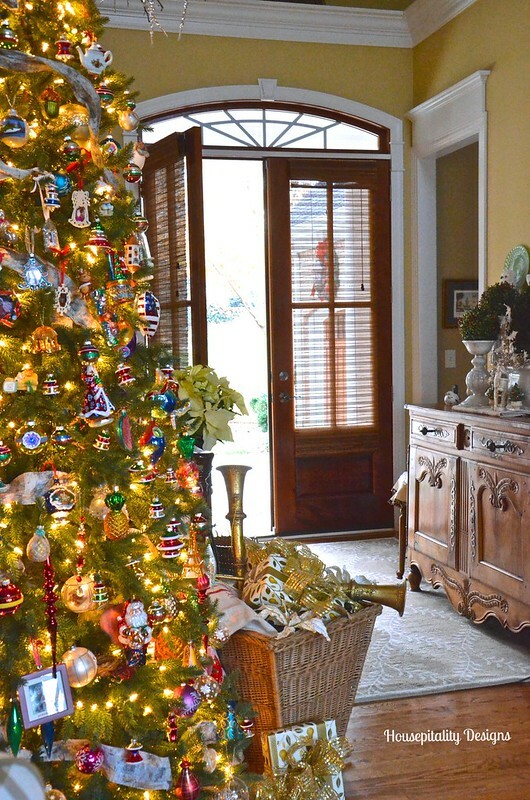 My foyer dressed for Christmas. Hope you enjoyed seeing it as much as I enjoyed decorating it. of the bHome Christmas tour. If you missed Day One or Two, the links are also below. Now on to the Giveaway and the links! Have a most fabulous day!!! Beautifull! 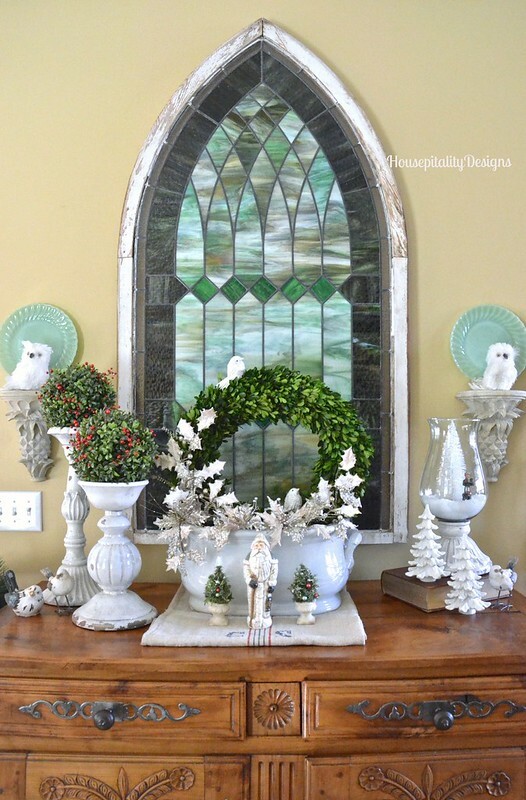 I love your foyer with stained glass window; especially at Christmas! 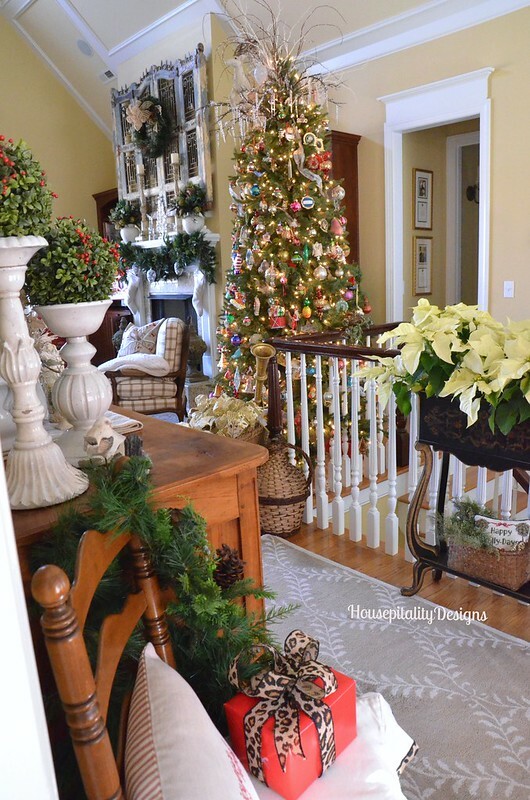 Your foyer and christmas tree look fabulous! I love how you put the wreath in the foot bath and surrounded it with candle holders. That wine basket carrier is so unique! Everything looks so festive and beautiful! What a wonderful site upon entering your house. I love all the extra details you add and my favorite are the hurricanes filled with snow and carollers. Shirley, I like your foyer! 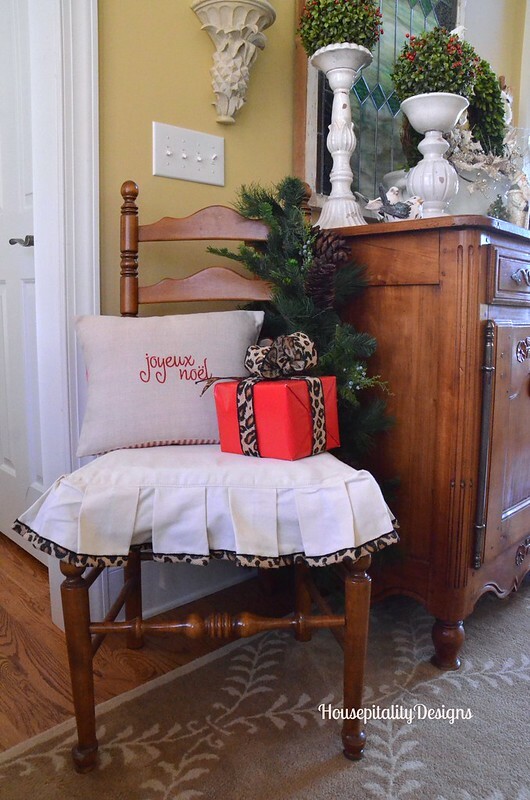 That ribbon trim on the pleated skirt of the chair and package are tres chic! 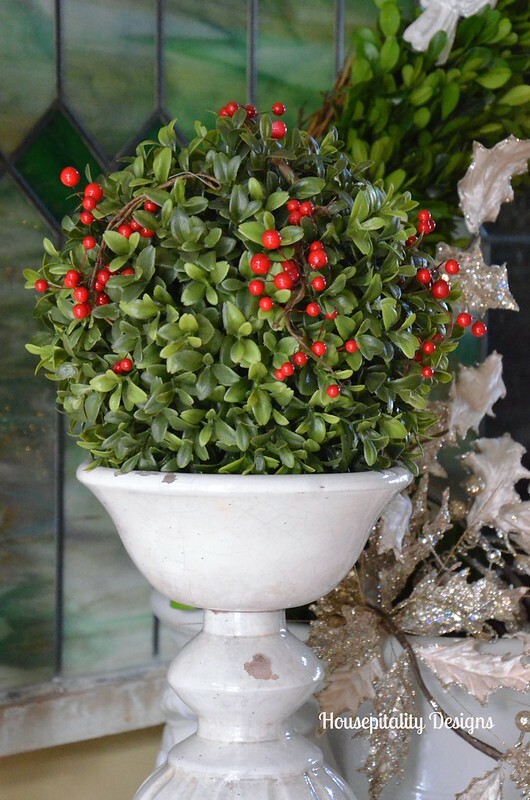 Of course, I have loved that footbath since you first found it, and it looks great with the boxwood. Very nice display of the wine carrier too. Happy holidays, gal! 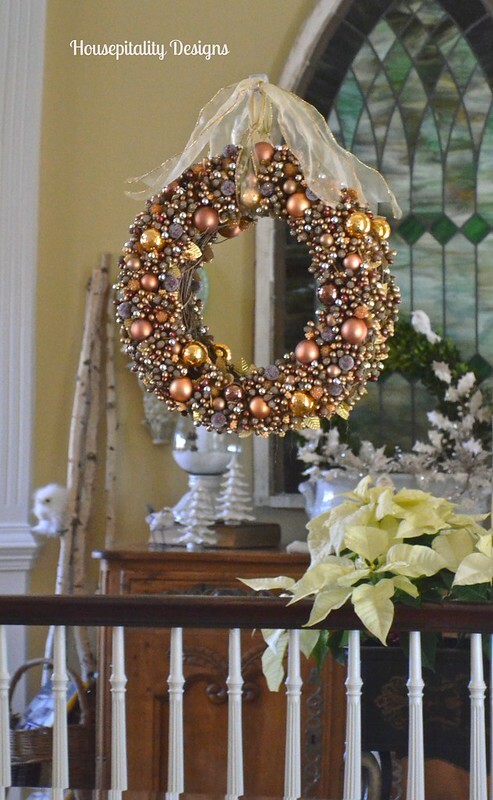 What a beautiful way to enter your home! I love the plaid chair and pretty pillow! Beautiful, Shirley! Your home is always such a treat! You have so many beautiful pieces and collections. Love it all! So gorgeous and grand Shirley! 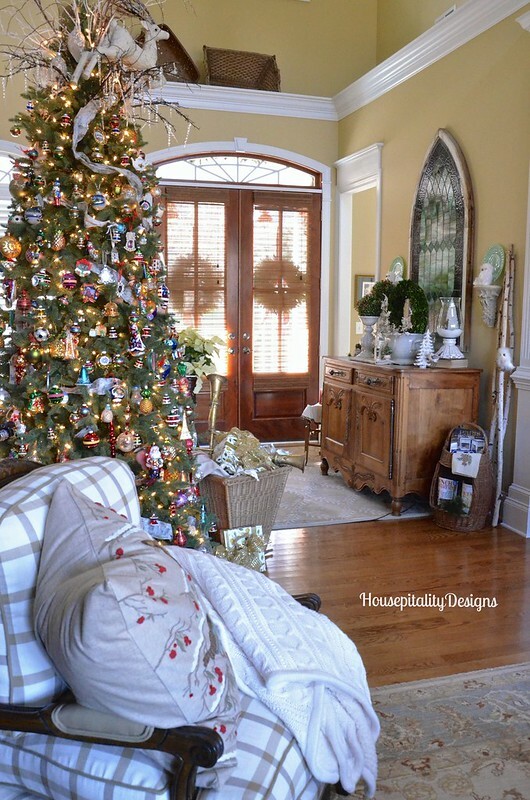 Your home is so beautiful dressed for Christmas! 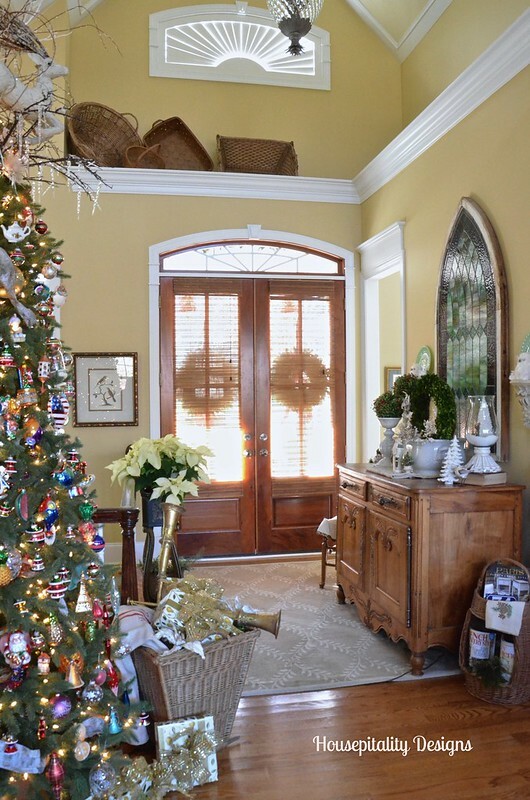 Your foyer is a gorgeous room in which to welcome your family and friends for Christmas. 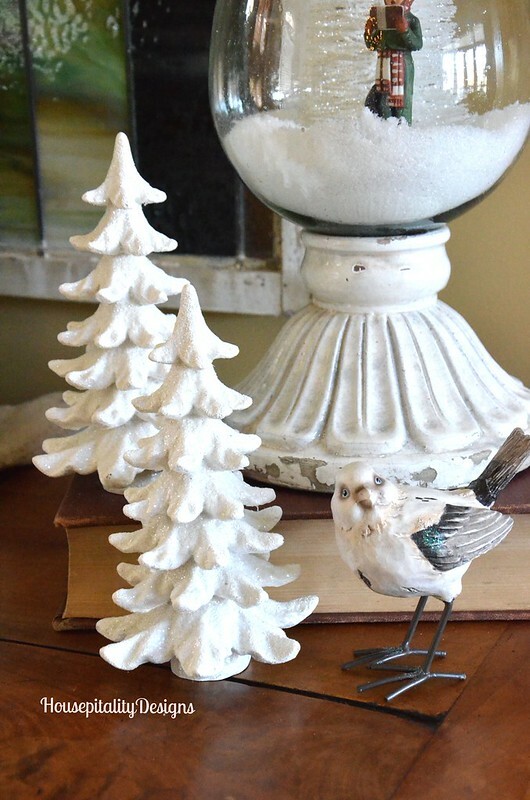 Your lovely Christmas decorations are showcased perfectly on your beautiful French antiques. What a gorgeous tree. Beautiful. JUST got home and ran here immediately! I am so bummed cause alot of your pictures aren’t loading so I will come back later. 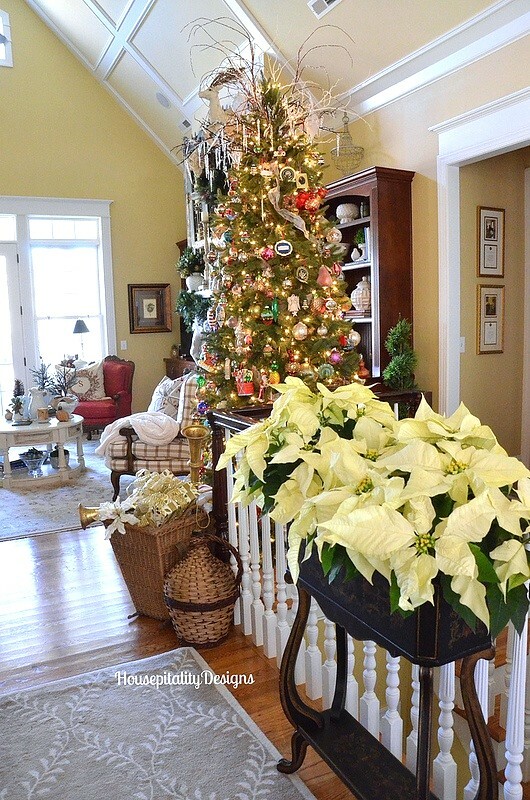 Your foyer is always so beautiful, warm and welcoming, always!! !It is almost Springlike up here, up in the high 50’s today and this weekend is supposed to be 68!!!!!!!!!!! Dec. in Pa.??? Crazy but I am NOT complaining. It is fabulous to me!!!! Pinky at designs by pinky’s recent post…Oh What Fun it is to Ride in a One Horse Open Sleigh! Shirley, your decor is absolutely gorgeous! And oh, how I covet your french buffet, stained glass window, and that fabulous ironstone footpath! I need to go treasure hunting with you! Such a Welcome and Warm Foyer. Everything is placed so pretty, Shirley. Just stunning Shirley! every detail. It was alot of work, I am sure , but it was so worth it. Shirley you have done such an amazing job on everything! I so enjoyed seeing all your treasures from France. 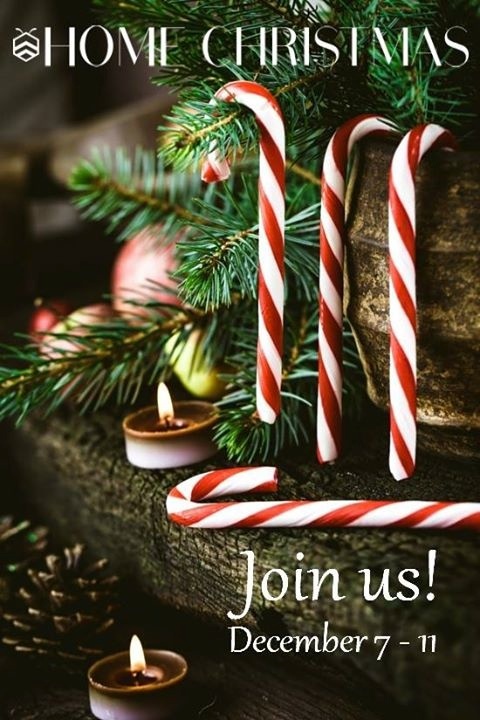 Thank you for joining our tour…Merry Christmas to you and your family! 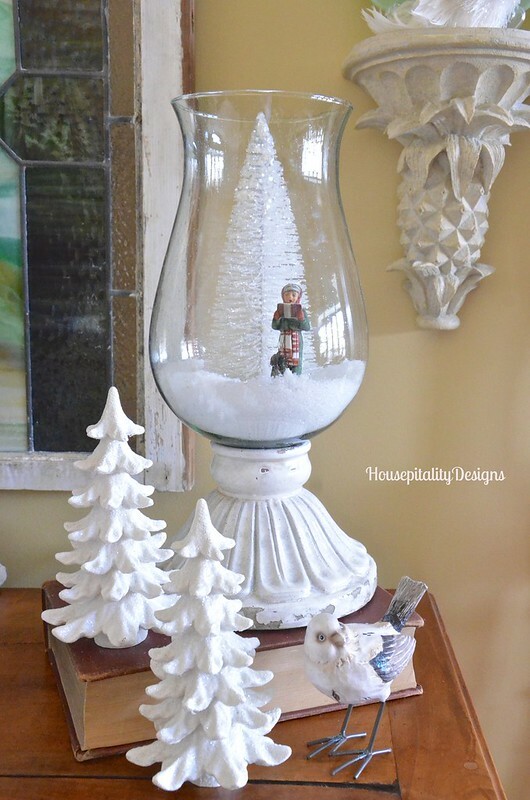 A virtual Christmas wonderland! It’s just so beautiful, Shirley. You work so hard during this time of year. Oh Shirley, everything is perfect and beautiful. Thanks so much for sharing. 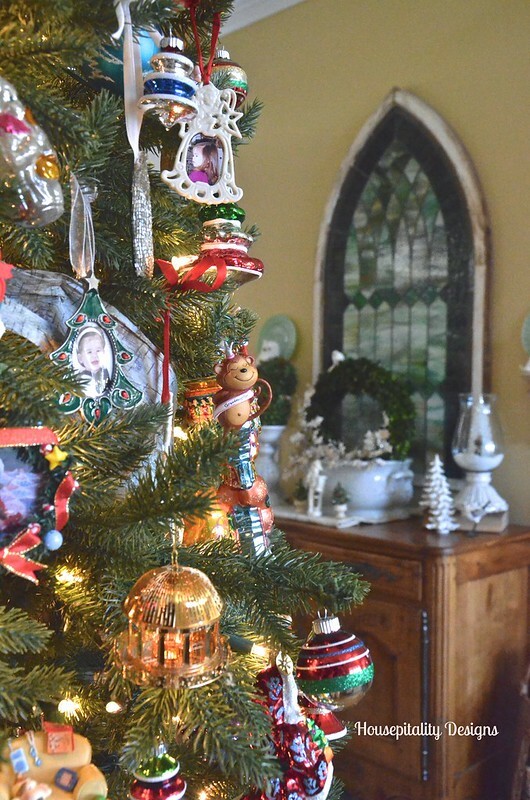 Your house is a total Christmas wonderland. You are going to need help putting everything away! For me this year less is more and I’m OK with that. Your tree is so beautiful!!! How do you get up there??? Lol. Merry Christmas sweet, Shirley!! 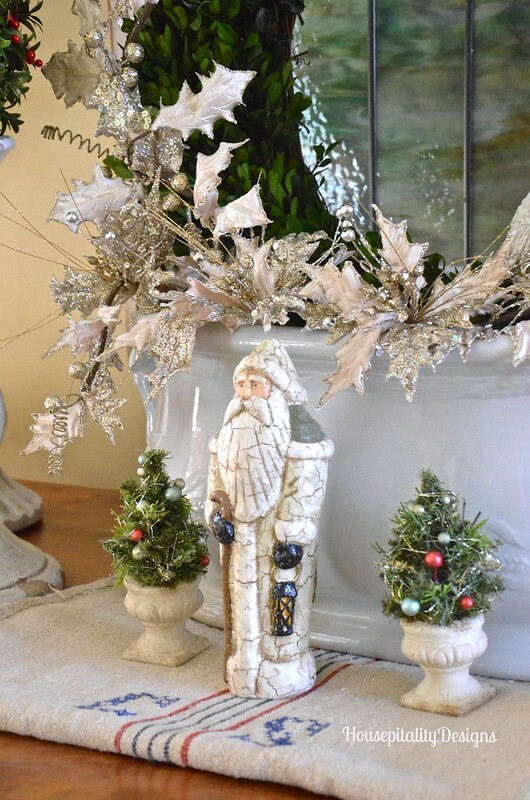 Linda’s recent post…Christmas Time Is Here! Stunning – what a beautiful foyer Shirley!! Love every detail 🙂 Happy Holidays! SHIRLEY!!! I’m stealing the idea of the leopard trim on ruffles for a chair!!! LOL! And the baskets on top that high shelf too! I have one of those and always feel frustrated on what to do with it…have I told you how much I love your house??? 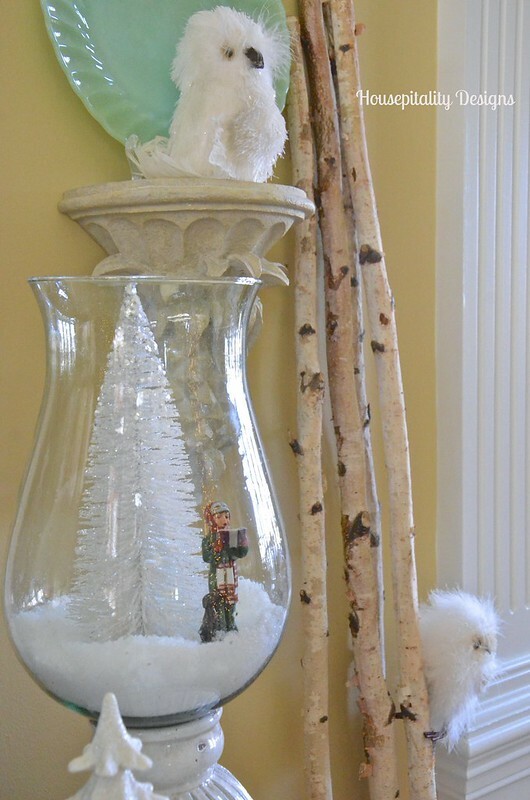 Swoon Shirley, so many wonderful Christmas touches! I love the addition of the snow scene with the tree and caroller in your hurricane. I have French wine/picnic carrier envy…so handsome! Writing work with this nature, usually is apparently highly unprofessional. since it is the best way businesses have been built inside past.